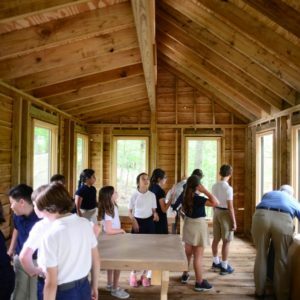 A Country Day School in the Pittsburgh area of Pennsylvania wanted to build an outdoor classroom to enhance their student bodies learning experience on their 17-acre campus. 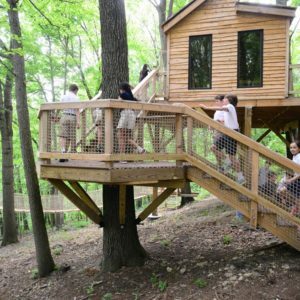 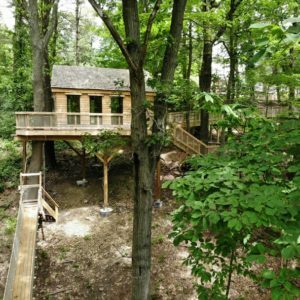 The treehouse was a longtime dream of the school's Headmaster, who retired after 19 years of service to the school. 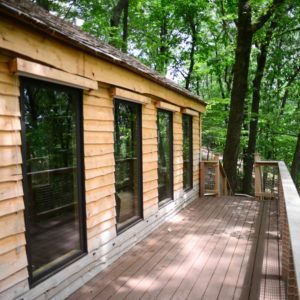 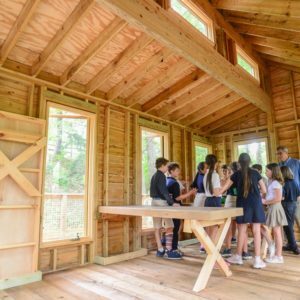 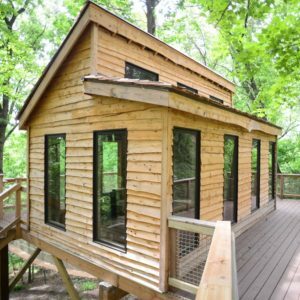 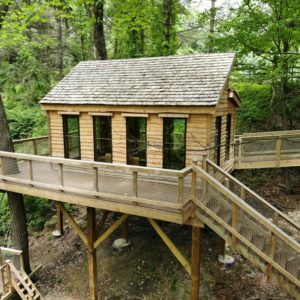 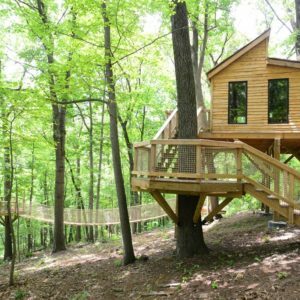 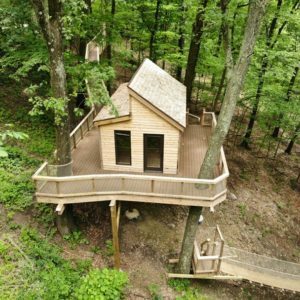 The treehouse features a 12x20-foot enclosed classroom with Murphy tables that fold down from the walls, plus large windows and a glass door to allow lots of fresh air and natural light. 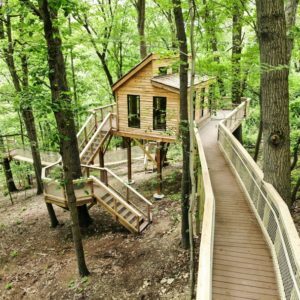 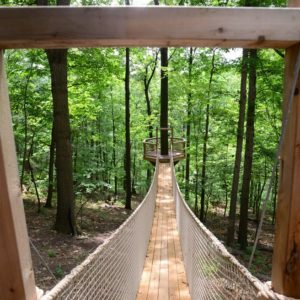 A 30x30-foot observation deck surrounds the building, and a suspension bridge runs from the base of the treehouse to a lookout platform on a nearby tree.